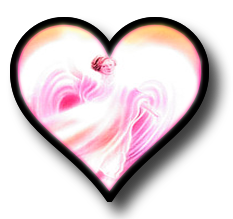 Archangel Chamuel - The Angel of Love. Archangel Chamuel - I LOVE! Archangel Chamuel, fills my heart with love! This amazing Light Being, Archangel Chamuel is the Angel of Love, he is in my heart as we speak as I hope he is in yours, but more about that later. His name means "He who sees God" and he helps you to expand your heart chakra by developing the infinite flame of love within you. I can clearly remember that moment when I had that attack of butterflies... when I knew... I just knew that my husband was the right man for me, and again just after my children were born and placed in my arms. I am sure that that you have gotten that fluttery feeling in the pit of your stomach? Know that when this happens, Chamuel is more than likely with you. Chamuel is very loving, sweet and kind. You should call on Chamuel to help with strengthening a parent-child bond, or in those times when you're unable to feel love for yourself or others, lost someone close through death or separation, your heart is blocked with depression, hopelessness and despair. When you feel lonely and broken hearted, need to be loved, or if you are trying to stop being judgmental and cynical or if you don't appreciate the love that you have in your life, call on him and he will help you. Archangel Chamuel particularly works with you to improve your loving and caring relationships with others he will help you to build strong foundations for these relationships so that they will be healthy, full of meaning and long-lasting. The - training I do with my students acquaints them with these powerful beings of light. 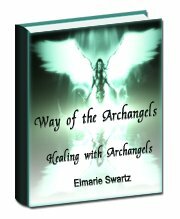 The seven Archangels that I teach are probably the best known of all the Archangels, mostly because their presence has been mentioned in many historical and biblical accounts, my students learn how to foster special bonds with the Archangels and how to effectively call on them to help with all the different facets of their life. Today, as always, they are still working very hard making their presence known and working in tandem with humanity to co-create a more peaceful world. Archangel Chamuel also assists in the healing of the parts of your body that you have rejected or that you have judged to be unlovable, he eases physical tension and psychosomatic illness. Call on Chamuel to to assist you in releasing fear that is blocking your physical recovery to help you to accept you physical self. Spend a short while meditating with his image will improve and invoke the powers, speeding up the healing you are seeking. Physical Associations Shoulders, heart, lungs, arms hands and your skin. Spiritual Gifts Love, compassion, mercy, creativity, forgiveness, dissolution of feelings of selfishness, self-dislike, self-condemnation and low self-esteem. Assists in the opening of your heart chakra. Practical Assistance Protection against malice, slander and misunderstanding, inauguration of new friendships and relationships, repairing of damaged relationships, help in getting along with others, help in finding a job, locating lost objects. World Service Healing of ethnic and racial tension.